World Vision’s child sponsorship programs focus on improving the well-being of children in need, especially the most vulnerable. We are uniquely equipped to go to the world’s most broken, heart-wrenching places. Places where it’s hard to be a child. Places where other child sponsorship organizations don’t often go. We take a holistic approach, working alongside communities to tackle the root causes of poverty and create sustainable change. For every child sponsored through World Vision, another 4 children will also benefit. That’s because we work to strengthen the whole community, so all children can thrive. Our faith in Jesus is central to who we are. We follow His example of loving and working alongside the poor and oppressed. Everything we do has one aim – the sustained well-being of children. We pursue the physical, emotional, spiritual, and social well-being of vulnerable children. Local staff understands community challenges and opportunities. We work alongside families to help achieve a shared vision for thriving children. Making sure children and families are well-nourished, protected from infection and disease, and have access to essential health services. Giving children opportunities to learn and develop their talents, equipping young people for the future, and bringing families and communities together to support children’s education. Helping children and families grow spiritually, strengthening local churches to demonstrate Christ’s love in practical ways, and encouraging people to live at peace with their neighbors. Ensuring Boys and girls are safe and valued, well cared for by their families, and participating in their communities as agents of transformation. Child sponsorship changed Baasandorj’s and his family’s lives forever. Now they’re stepping into the future with hope. Read their story. A former sponsored child in India now helps other children reach for their potential. Everlyn’s in school, her mother’s garden is thriving, and her family’s faith is stronger. 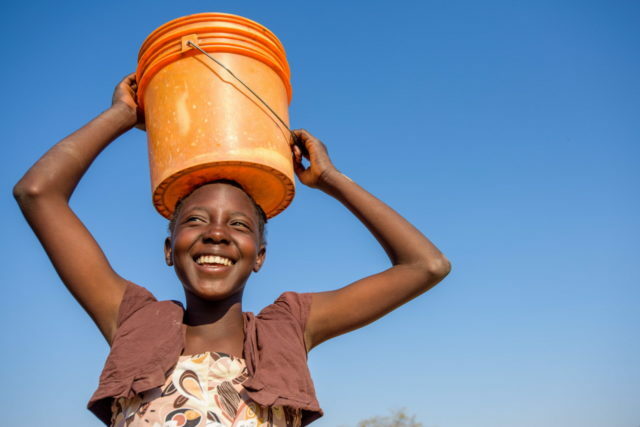 Child sponsorship and clean water have made all the difference. Over 60 years of experience has taught us that the best way to help a child in need is to strengthen the child’s entire community. We take a holistic approach, working alongside local staff, families, and community partners to identify critical needs and tackle the root causes of poverty. Our unique development model brings lasting, sustainable change that continues to transform the lives of all children in the community long after we’re gone. Focused on results and accountability, we continually measure the progress of our work and provide evidence of impact to our child sponsors. We work with families, communities, and partners to ensure that children enjoy good health, are educated for life, experience the love of God and their neighbors, and are cared for, protected, and participating in their community. children registered in child sponsorship programs worldwide. Thanks to sponsors around the world in 2016.
communities impacted by child sponsorship programs. Thanks to World Vision donors from around the world in 2016.
children worldwide with sponsors here in the U.S. Funded by World Vision sponsors from the U.S. in 2016. What is World Vision child sponsorship and how does it work? 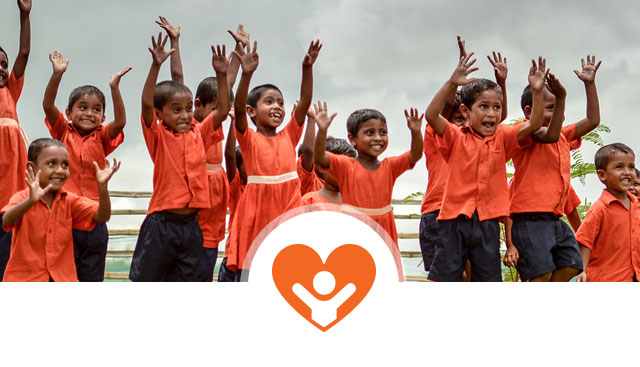 How is World Vision child sponsorship designed to improve the lives of children? How does World Vision work with a community to plan and implement child sponsorship programs? We work in communities where our presence is requested and welcomed. Before a sponsorship project begins, World Vision workers meet with local community leaders to listen and assess the needs of the community and determine appropriate and effective responses. Together, we develop a plan for project areas and activities that will address their needs and priorities. A plan of operation with a proposed timeline, budget, specific goals and objectives is created. This plan includes the number of children and families that will be assisted through the various components of the project. A majority of World Vision project staff are local residents who are best suited to evaluate and serve the needs of their community. As we earn trust and credibility within the community, community members participate in and take ownership of the projects. While projects are in progress, the work is evaluated to ensure it is having maximum impact. This can last 10, 15, or even 20 years. Within the last years, the community prepares to carry out the development work after we leave. By partnering with local people in the project communities, we empower them to bring about change themselves and to sustain progress in their community long after the project goals they have established with World Vision have been achieved. Learn more about our model for implementing programs. How long does World Vision work in a community? We help children, families and their communities by supporting sustainable, long-term development projects. Sustainable development work takes time—approximately 15 years. We may stay in a community for less than 15 years, or longer, depending on when the development goals we set out to achieve have been completed. However, at times we may have to leave a community or country because local conditions—often involving political issues or stability—have changed. Because we want to ensure that children continue to flourish after we leave, our exit is planned from the start. From the very beginning of our child sponsorship projects, we work with the community to build lasting systems that will enable them to maintain and build on what has been achieved so their children can continue to thrive after the World Vision project has ended. We work with communities to establish priorities and the time it will take to achieve the goals. Addressing the root causes of poverty involves building trusting relationships, breaking mindsets, changing attitudes, and providing tools, skills, and training – all of which requires a great investment of time. The goal of child sponsorship in a community is to help break the cycle of poverty so children and families can step into the future with well-founded hope. 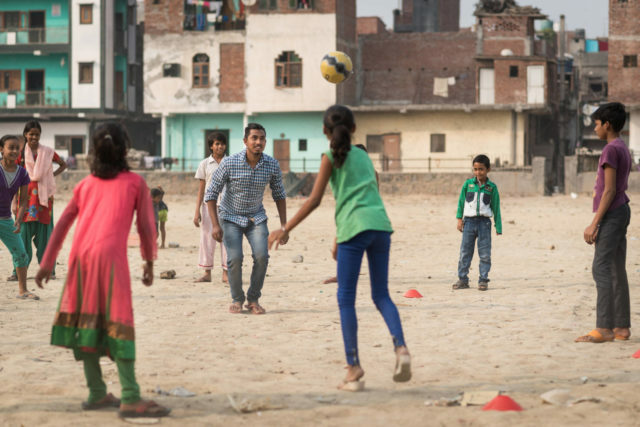 When these goals are met, World Vision can move on to serve children with great need in other communities. External research found that participation of sponsored children and others in World Vision’s sponsorship-funded programs was associated with improvements in their lives. See how World Vision integrates sustainability into child sponsorship programs with a child-centered approach. Find a child to sponsor and change a child, family, and community for good. Your donation will help child sponsorship programs continue to change the lives of children and families in communities around the world, providing them with access to vital basics like clean water, nutritious food, healthcare, education, and more.